As companies look for more efficient and effective ways to get fossil fuels out of the ground, the use of slurry pumps in cellars and for general mud handling at rig sites has become more common. Past practices included the use of trash pumps or close coupled centrifugal pumps to do this work, but those pumps were not designed specifically for the harsh duty of moving mud with specific gravities up to 2.4. 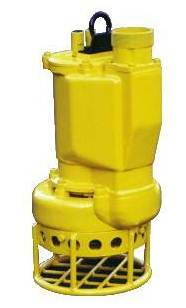 A few submersible pump companies developed and put to market their own versions of sand slurry pumps. These pumps featured some hardened wear components and in some cases external agitators to help homogenize the fluid being moved. These pumps vastly improved the work flow while at the same time offering better pump life. The start of a win-win. 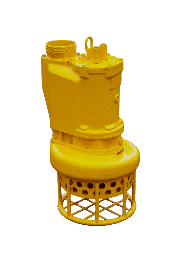 We at Hydra-Tech decided to take this one step further and offer customers the opportunity to get up to 15% more head capacity and flow from the same size pump. To do this, we partnered with BJM pumps of Old Saybrook, CT and eliminated the limitation inherent in the typical electric motors which top out at around 1800 rpm. Specifically, we took BJM’s robust design and engineered a stronger shaft and bearing set along with all of the required adapters to mate to the lower end of the pump, including the hardened wear parts. The result…performance curves that consistently and across the range of the curve provide more gallons per minute and a higher head capability. Additional benefits of using hydraulic power include the ability to slow down the impeller speed to meet specific pumping conditions and of course the added safety of not having high voltage electric cable running through water in an area where workers are present. 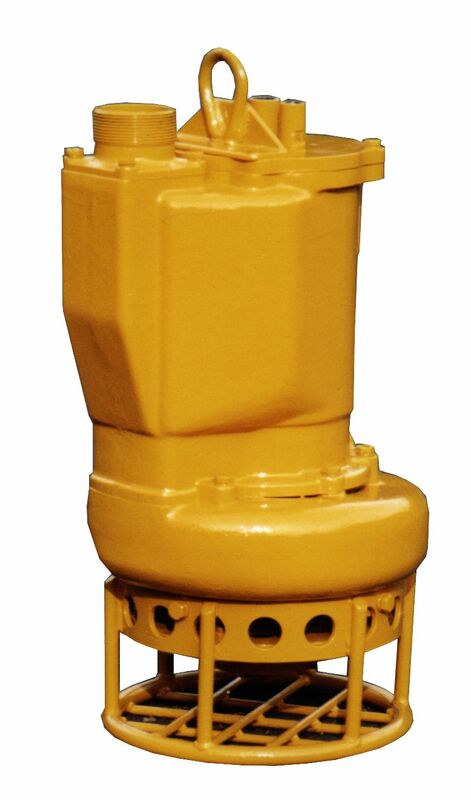 This design is successful to the point where Hydra-Tec Pumps is now private labeling the units back to BJM with the hydraulic drive and this line of pumps is now widely used by the customers of both companies. Beyond exploration, these pumps have also proven most effective in the Horizontal Directional Drilling industry as those firms transfer mud from the sump at the bore hole back to mud recycling systems. This story is typical of what we have been doing at Hydra-Tech for the last 40 years; we work to find ways to create the best option for getting work done. That’s why the World Pumps us for Solutions.